As usual, the weekend automotive schedule is packed with things to do in Kansas City. One of the biggest events is the Muscle Car Reunion at Kansas City International Raceway, where you’ll be able to check out cool muscle cars, vintage dragsters, and legendary drivers. You can also see T-Birds in the Northland, V-Dubs at the City Market, and cruises, car shows, and races all over town. The CAF Annual Air Expo at the airport in Olathe also looks pretty intriguing, where you will be able to see FIFI, the only operable B-29 in existence, P-51 Mustangs and other cool old planes, and a display of vintage military vehicles. But enough about what I think will be good. The entire Kansas City and surrounding area car calendar for this weekend is listed below. And, you know, don’t forget to call or plan ahead if rain, flooding, or other crappy conditions may be a factor. Friday, July 15. Overland Park, Kan. Longbranch TGIF Cruise. Dan's Longbranch Steakhouse. 9095 Metcalf, 66212. 6:00 p.m.-10:00 p.m. For more information contact Dan at (913) 642-9555. Friday, July 15. Holden, Mo. Sonic Cruise Night presented by Happy Days Dream Cars. Sonic Drive in, 101 S Lexington, 64040. 6-9:00 p.m. For more information, call Chris at (816) 616-6612. Friday, July 15. Pleasant Hill, Mo. Pleasant Hill Cruise Night. First St and Wyoming in Historic Downtown Pleasant Hill. 6:00 p.m.-9:00 p.m. For more information, visit the Facebook page. Saturday, July 16. Kansas City, Mo. Vintage Thunderbirds of KC Show. Thoroughbred Ford. 8501 N Boardwalk Ave (I-29 & Barry Road), 64154. 10:00 a.m.-2:00 p.m. For more information, call Deb at (816) 436-4563. Saturday, July 16. Leavenworth, Kan. Henry Martens GM Superstore 3rd Annual Car Show presented by the Leavenworth Cruisers. 315 Choctaw, 66048. For more information, call Randy at (913) 682-3999. Saturday, July 16. St. Joseph, Mo. Classic Rock and Chrome Rally. St. Joe Harley Davidson, I-29 and Exit 44. For more information, call Clay at (816) 233-9061, or visit http://www.stjoeharleydavidson.com/event_calendar.asp. Saturday, July 16-Sunday, July 17. Olathe, Kan. CAF Annual Air Expo featuring vintage aircraft and military vehicles. 7:00 a.m.-6:00 p.m. (Saturday), 9:00 a.m.-3:00 p.m. (Sunday). New Century AirCenter, 66031. For more information, call (913) 907-7932, or visit http://www.kcghostsquadron.org/. Saturday, July 16. Maryville, Mo. 4th-Annual Nodaway County Fair and Car Show. Nodaway County Courthouse Square. For more information, call Aaron at (660) 541-5536. Saturday, July 16. Paola, Kan. Paola Heartland Car Show. Downtown Paola Square, 66071. 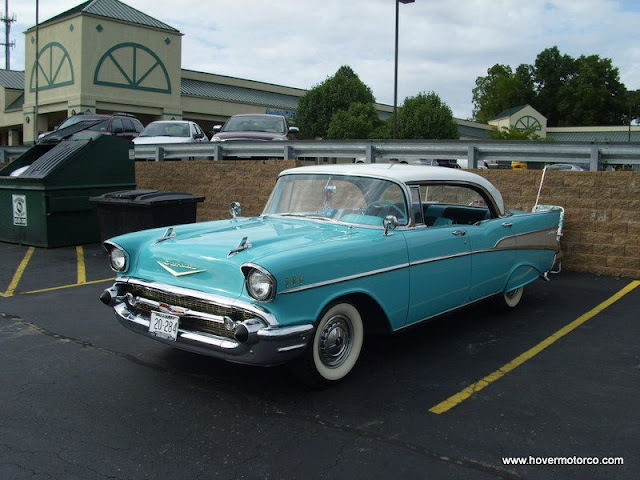 4:00 p.m.-10:00 p.m. For more information, call Bruce at 913-557-3738, e-mail bruce.cordle@gmail.com, or visit http://www.paolacarshow.com/. Saturday, July 16. Atchison, Kan. Amelia Earhart Car Show. Lewis Chevrolet/Buick, 314 Woodlawn. 9:00 a.m.-3:00 p.m. For more information, call Laura at (913) 367-5907, or download the registration form here. Saturday, July 16-Sunday, July 17. Knob Noster, Mo. Best of the Midwest Car Show presented by the Infamous Toys Car Club. Knob Noster Park, Camp Bob White (off DD Hwy). For more information, call John at (660) 221-9048, Dustin at (660) 441-7068, or call the Chamber of Commerce at (660) 563-3011. Saturday, July 16. Bolivar, Mo. Downtown Bolivar Cruise Night. Bolivar Square. 5:30 p.m. For more information, call Susan at (417) 770-1989, or visit http://downtownbolivar.blogspot.com/. Saturday, July 16. Lee's Summit, Mo. Johnny Ray’s Cruise Night. Johnny Ray's Drive-In, 800 SW Blue Pkwy, 64063. 5:00 p.m.-10:00 p.m. For more information, call (816) 524-1910. Saturday, July 16. Olathe, Kan. Olathe Sonic Drive-In Cruise Night presented by Radical Rides, 915 S. Parker, 66061. For more information, call Glen at (913) 713-5013, or Don at (913) 948-9521. Saturday, July 16. Winfield, Kan. C.R.O.C.S. Youth Group Christian Open Car and Bike Show. First Church of the Nazarene, 201 E 19th Street. For more information, call (620) 218-1839, or visit http://www.winfieldnaz.org/. Saturday, July 16. Urbana, Mo. Skyline Alumni Car Show. High School Parking Lot, 15 miles north of Buffalo on Highway 65. Registration is at 9:00 a.m., awards are at 3:00 p.m. For more information, call Shirley at (417) 838-9810. Saturday, July 16. Independence, Mo. Summer Cruise-In at the Hartman Heritage Center. Jackson Drive next to Buffalo Wild Wings. 6:00 p.m. For more information, call Jim at (816) 808-1154, or visit the Facebook page. Saturday, July 16. Overland Park, Kan. HPAC Cruise Night. Culver’s. 8600 W 135th St (135th & Antioch). 66223. Open to all MOPAR/AMC vehicles. 6:00 p.m.-10:00 p.m. For more information, call (785) 231-0719 or e-mail hpacmopar@hotmail.com. Saturday, July 16. Gladstone, Mo. Big Baby's Pizzeria Cruise Night. 6579 North Oak Trafficway, 64118. 4:00 p.m.-8:00 p.m. For more information, call (816) 569-2442. Saturday, July 16. Overland Park, Kan. Foster's Grille Cruise Night. 11831 Metcalf Ave (119th & Metcalf), 66210. 5:00 p.m.-9:00 p.m. For more information call Delbert at (913) 724-4025, or e-mail goldenoldiescarclub@sunflower.com. Saturday, July 16. Platte City, Mo. Outta Control Hot Rods Monthly Cruiseathon. Pizza Shoppe and Mr. Goodcents parking lots. 2400 NW Prarie View Rd, 64079. For more information, call Larry at (816) 858-4070. Sunday, July 17. Kansas City, Mo. Art of the Machine Display featuring the MO-KAN Volkswagen Club. 10:00 a.m.-2:00 p.m. Kansas City’s City Market. For more information, visit http://www.thecitymarket.org/, or e-mail ppowers@copaken-brooks.com. Sunday, July 17. Kearney, Mo. NTB’s Krusin Kearney. Downtown Kearney. For more information, call Neal at (816) 876-1357. Sunday, July 17. Rosebud, Mo. Owensville Annual Threasher’s Association Car Show. Rosebud Community Park. Registration from 8:00 a.m. – Noon. Awards at 3:20 p.m. For more information, call Mike at 573-437-6735, or e-mail jwb426nss@centurytel.net. Friday, July 15-Sunday, July 17. Kansas City, Mo. Muscle Car Reunion. Kansas City International Raceway, 8201 S Noland Rd, 64138. For more information, call (816) 358-6700, or visit http://www.kcironline.com/. Friday, July 15. LaMonte, Mo. Weekly Racing. L A Raceway, 11649, 11649. For more information, call (660) 563-9878, or visit http://www.laraceway.com/. Friday, July 15-Saturday, July 16. Grain Valley, Mo. Weekly Racing. Valley Speedway, 348 E Old 40 Hwy, 64029. For more information, call (816) 229-2222, or visit http://valleyspeedway.com/default.aspx. Saturday, July 16. Nevada, Mo. Weekly Racing. Nevada Speedway, S Barrett Ave, 64772. For more information, call (417) 667-5859, or visit http://www.nevadaspeedway.net/. Saturday, July 16. Topeka, Kan. Super Saturday Showdown. Heartland Park Topeka Dirt Track, 7530 Topeka Blvd, 60610. For more information, call (785) 862-2016, or visit http://www.hpt.com/. Last weekend, Kyle Busch won a boring inaugural Sprint Cup race at Kentucky Speedway, but the big story was how bad the traffic and parking was getting in and out of the track. This weekend, the cars and stars of NASCAR go to a little more established facility that’s used to handing the big crowds in Loudon, N.H. For more information, visit http://www.nascar.com/. Saturday, July 16. Loudon, N.H. NASCAR Nationwide Series New England 200. New Hampshire Motor Speedway. 2:30 p.m. (c/t). ESPN Television. Saturday, July 16. Newton, Iowa. NASCAR Camping World Truck Series Coca-Cola 200. Iowa Speedway. 7:00 p.m. (c/t). SPEED Television. Sunday, July 17. Loudon, N.H. NASCAR Sprint Cup Series Lenox Industrial Tools 301. New Hampshire Motor Speedway. 12:00 noon (c/t). TNT Television.